I would love a piece of this cake as I write this post, but instead I am eating cereal with coconut milk. 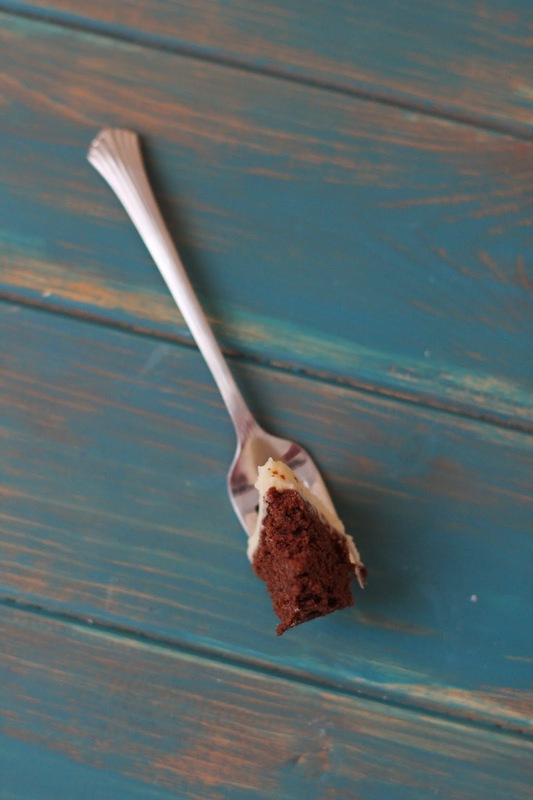 For this cake I took one of my favorite chocolate cake recipes, Hershey's Perfectly Chocolate Cake, and simply swapped out the milk for Irish cream! It worked! YIPPEE! Then I made some buttercream with a bit more Irish cream for good measure and schmeared it on top! 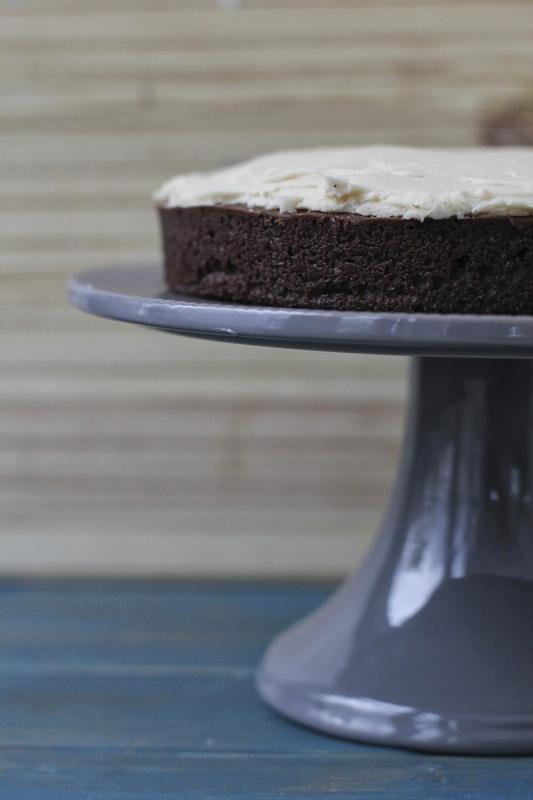 Now the recipe below is for one 9-inch cake, but simply double the recipe if you want to go all out and make a layer cake! I don't know why, but for me there is something so appealing about one layer cakes. Honestly, it is probably the fact that I am lazy and they're easier because you don't have to fuss with making layers even and crumb coats. 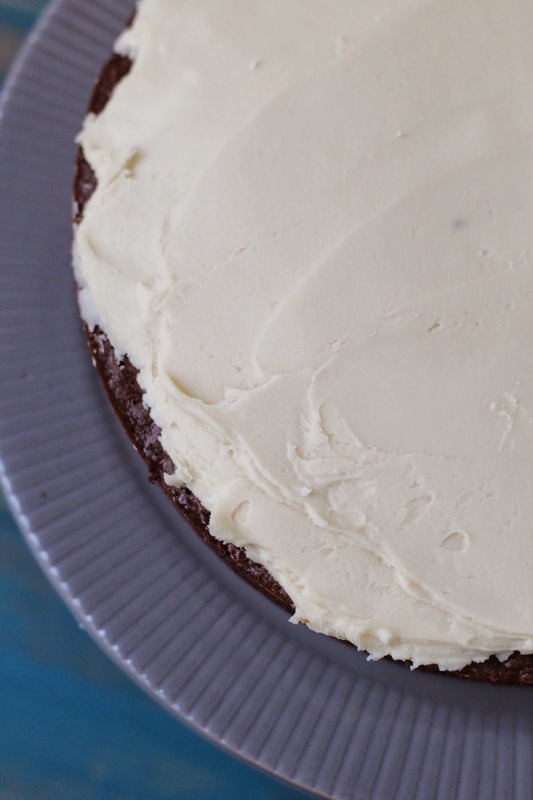 Simply, bake the cake and once it's cool schmear some frosting on top and you're done! Happy St. Patrick's Day from a wee Irish lassie! 1. Cake: Pre-heat oven to 350 degrees F. Spray 9-inch cake pan with non-stick spray, set aside. 2. In the bowl of a stand mixer with whisk attachment, combine: sugar, flour, cocoa, baking powder, baking soda, and salt. Add in egg, Irish cream, and canola oil, mixing on low for 30 seconds. Scrap down the bowl, then mix on medium for 2 minutes. Stir in boiling water. Pour batter into prepared pan, and bake 28-32 minutes, or until a toothpick comes out clean. Cool cake for 20 minutes in pan, transfer cake to wire rack to cool completely. 3. Buttercream: In the bowl of stand mixer with paddle attachment, beat butter on medium for 30 seconds. Add in powdered sugar, beating on medium for about 1 minute. Add in the Irish cream, beating another minute until combined. 4. Once cake has cooled completely spread buttercream on top.